MANILA (UPDATED) – Before the Philippines can realize its goal of turning Pag-asa Island in the West Philippine Sea into a tourist draw, the government will first have to take care of the basics, such as building a place for ships to drop construction materials. 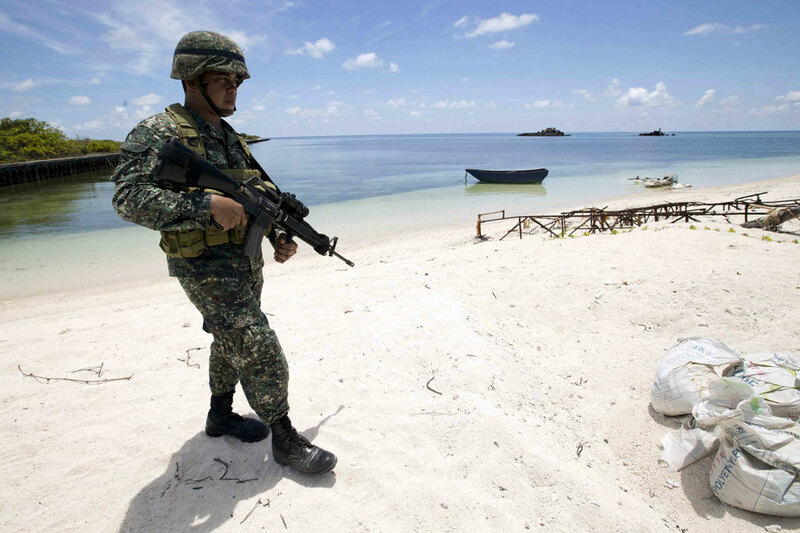 A beaching area or port is first on the agenda, Defense Secretary Delfin Lorenzana told the media during his visit to the largest Philippine-occupied island in the disputed Spratlys, Friday morning. Currently, there is no such thing on the island, and anybody who wishes to come by sea will need to anchor some distance away, and use small boats to approach. Lorenzana said the government will construct the beaching area before the rainy season kicks in. Once the area is finished, all other improvements to Pag-asa Island can begin such as upgrades to the existing unpaved airstrip, and a taller flagpole with a bigger flag to be flown in the detachment. This, after the government postponed plans to raise the Philippine flag on other disputed islands in the South China Sea. Improvements are also lined up for all 9 Philippine detachments in the West Philippine Sea, Lorenzana said. Attention is being given to Pag-asa Island, which is also a civilian municipality called Kalayaan, because it is the biggest. While the government expects China, which also claims islands in the West Philippine Sea including Subi Reef close to Pag-asa Island, to protest Philippine construction projects, Lorenzana downplayed this as only a token response, as the Philippines also sends protests to China when it constructs anything on islands it has occupied. The Department of Foreign Affairs has thrown in its support for Lorenzana.